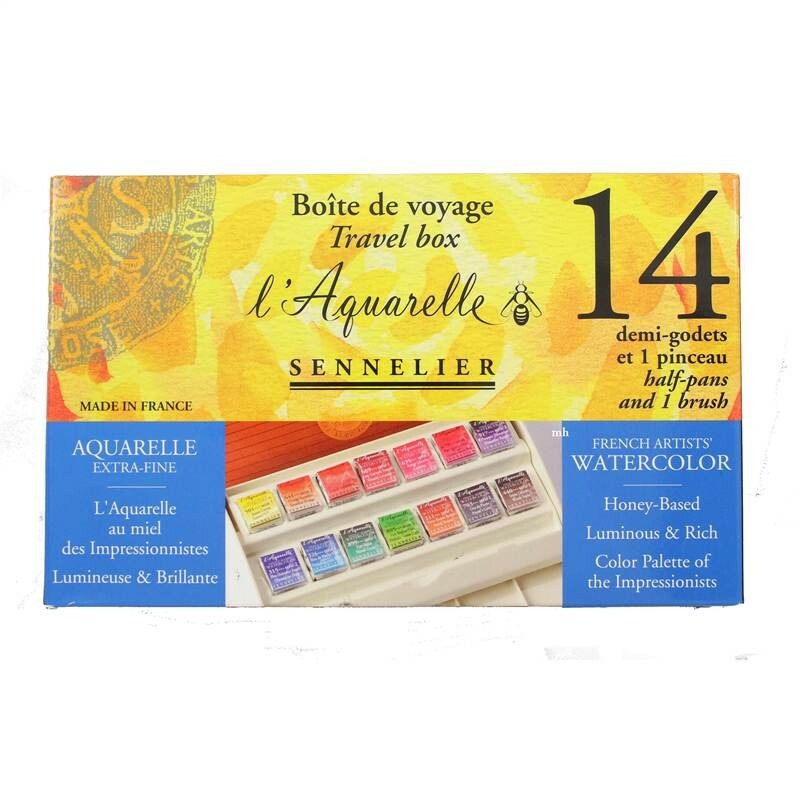 Sennelier L'Aquarelle Extra Fine Watercolour Half Pans & Brush Set Travel box Honey based watercolour paint. 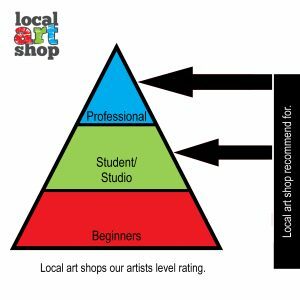 The Sennelier artist level watercolours have a honey-base. 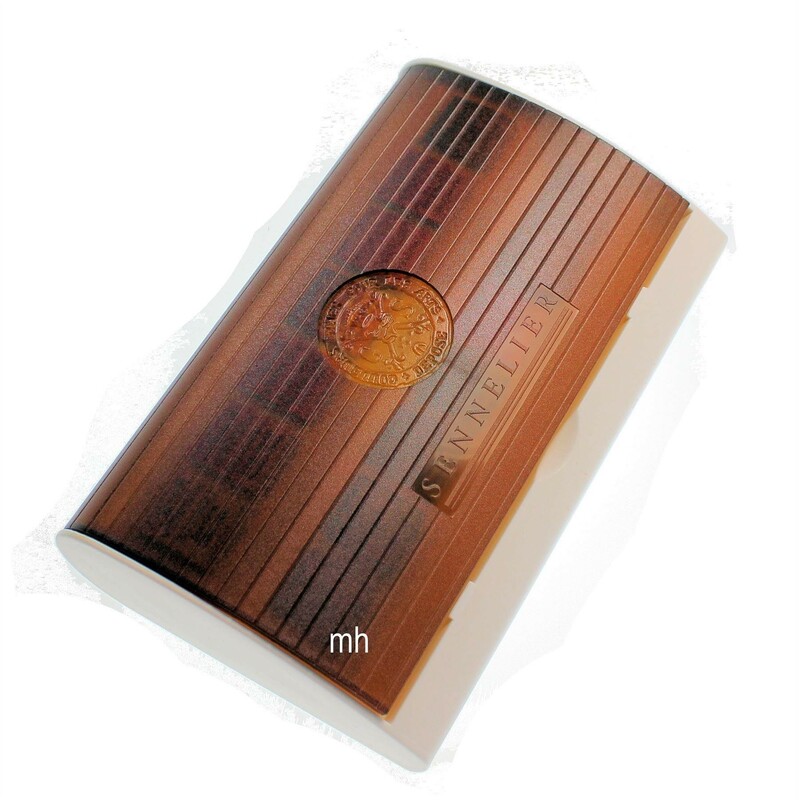 Not only a preservative that as an additive gives incredible brilliance and smoothness of the paint. 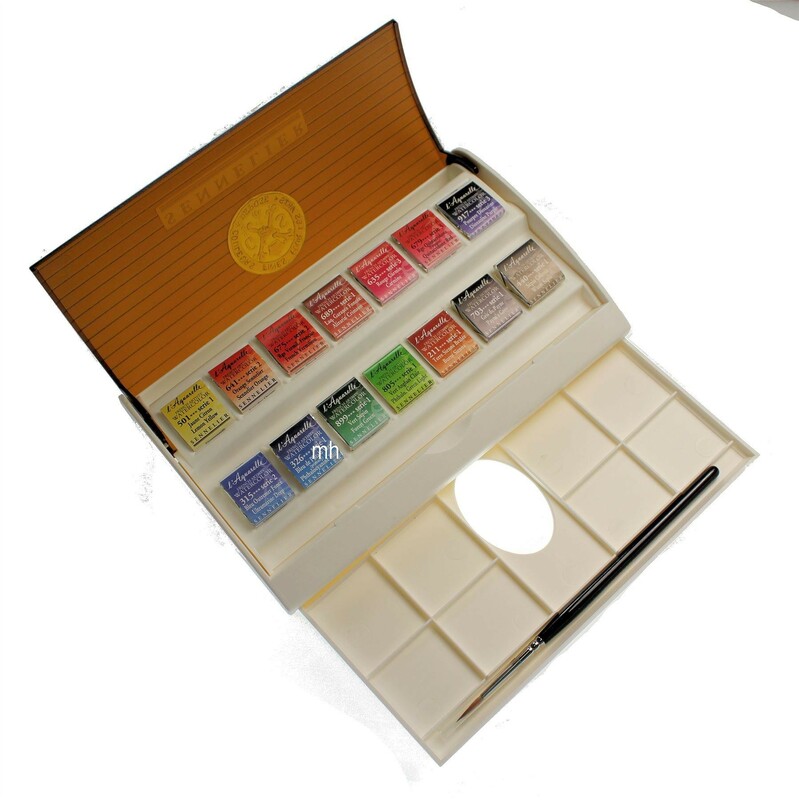 Sennelier strives for excellence and has reworked watercolour formula to increase the amount of honey in the paint to reinforce the longevity of the colour, their radiance and luminosity. 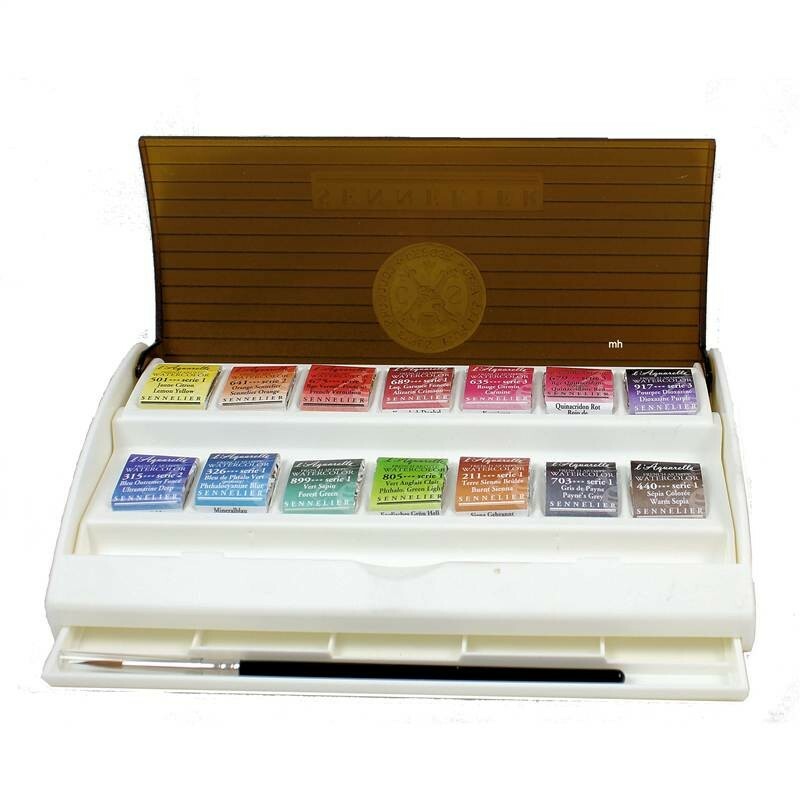 14 1/2 pans, 501 lemon yellow, 641 orange Sennelier, 675 French Vermilion, 689 alizarin crimson, 635 carmine, 679 quinacridone red, 917 dioxazine purple, 315 Ultra Marina deep, 326 phthalocyanine blue, 899 Forest Green, 805 phthalo green light, 211 burnt Sienna, 703 paynes grey, 440 warm sepia. Short round size 3 Sennelier a brush. Thumb hole with a small mixing Wells.